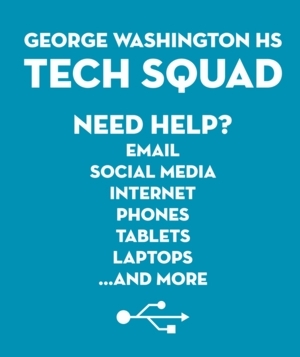 Thu, January 31, 2019 11:10 A.M.
Do you need help with your email, social media accounts (facebook, instagram, twitter, snapchat), smartphone, tablet, laptop, or the internet? Come and see our community partners from GWHS! Students will be here to help on their lunch period for approximately 30 minutes on selected dates listed.